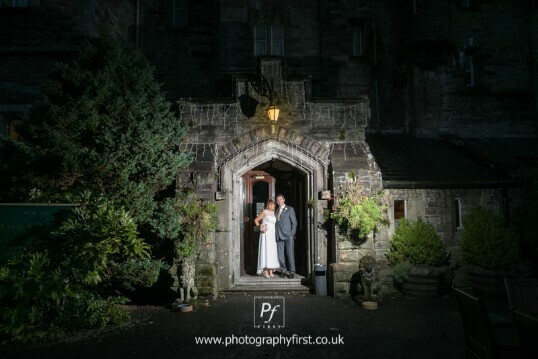 My husband and I would to thank Donna and her amazing team at Craig Y Nos Castle for the perfect day. 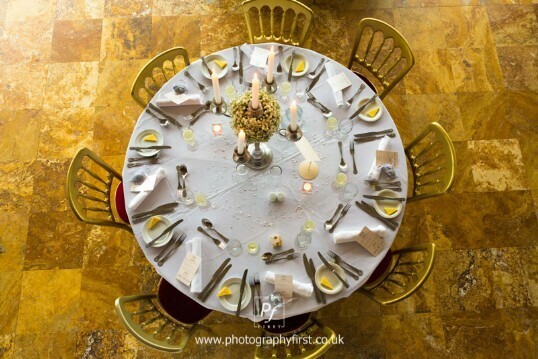 Everything was soo organised, the food was delicious and all of our guests had a great time. 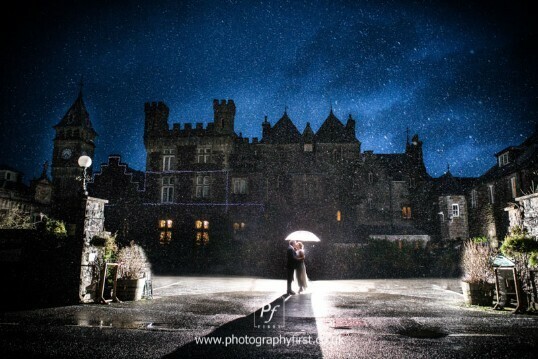 I will definitely recommend Craig Y Nos Castle to everybody as I couldn't imagine a better place to get married. December 18, 2018 My husband and I would love to thank the whole team at Craig Y Nos castle for the most magical wedding we could of ever imagined. Everyone was soo helpful, organised and all together amazing! 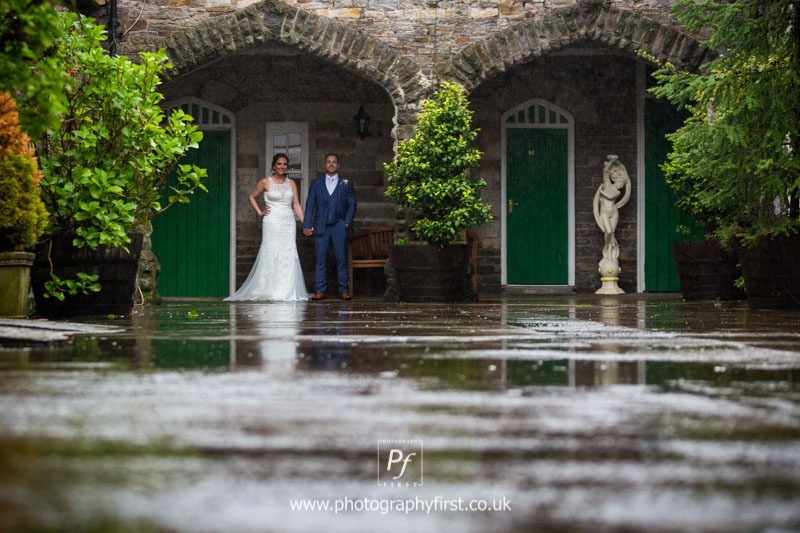 I would definitely recommend Craig Y Nos Castle to any and everybody from a romantic evening away to the wedding of your dreams. Can't wait to go back!!! Michael (Manager) adds: We have recently been connected to new fibre optic cables and had new wifi in our bars, evening function room, lounge and it also reaches most bedrooms - we will shortly have new wifi in our Conservatory also. My son had his wedding here on Sunday. Very pleased with everything, the conservatory looked beautiful, especially with the Xmas tree and lights still up. Food was delicious, plenty of it. Would like to thank Nicola for all her help. Everything went smoothly. I realize you have to pay to stay in somewhere with such history but 150 pound for the room we stayed in, room 14, which was perfectly acceptable, clean but small and our eldest son's room which was room 13, which was fabulous huge bed, new shower room and also another bedroom upstairs for exactly the same price, felt a bit envious as we paid the same for both. All in all though would definitely stay again the day was fabulous from beginning to end. 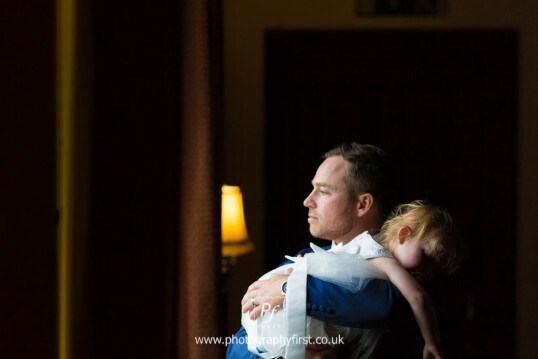 Thank you craig y nos for making my sons wedding so special. What a weekend at Craig Y Nos. We attended the wedding of some good pals and drove nearly 5hrs each way to get there. Worth it! The room we stayed in was lovely, the place was full of character and the staff were another level; so nice and clearly so genuine with it. We are one veggie and one vegan and the food was, quite frankly, outstanding. We ate well! See you guys in the summer. We're coming back and using this place as a base to explore the area. November 24, 2018 ·I got married yesterday and couldn’t ask for more helpful service and a more beautiful place to get married. Everyone was amazing and nothing was too much to ask. The wedding planner Nicola was particularly amazing. Food was great too 👍🏼Would absolutely recommend ❤️ Thank you so much! Also, if your still looking for a photographer, Jenkins photography go to the venue regularly and know their way around. They were amazing, would also recommend them! 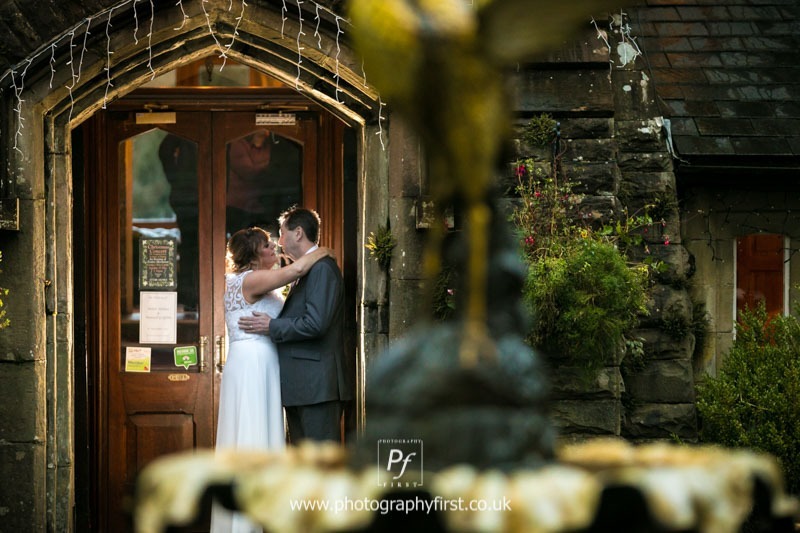 November 24, 2018 ·Abi and Nick had their wedding here 23rd November 2018. As mother and father of the bride, we could not recommend this venue enough. The staff were delightful and nothing was too much for them. The surroundings were magnificent. The scenery amazing. The rooms were comfortable. Thank you so much for making this an unforgettable occasion for family and friends alike. November 21, 2018 We strongly recommend this venue. We married here last Thursday, its a beautiful venue where all of the staff are very helpful, friendly and more than willing to go the extra mile. 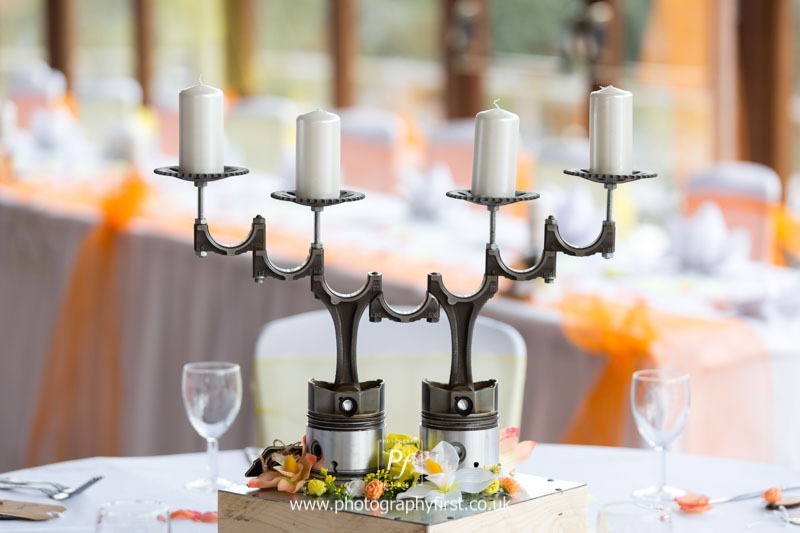 Our Wedding organiser Nicola was excellent from start to finish, she ensured everything ran as smoothly as possible on the day and was just generally brilliant with answering any queries we had. Overall I would rate the venue as 5 star as a wedding venue! November 18, 2018 Had the greatest pleasure of delivering Matt & Terrie's wedding cake yesterday to this stunning venue. My cake sat perfectly in its beautiful surroundings. 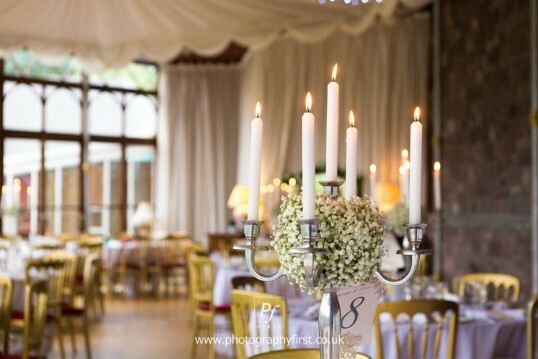 I highly recommend this beautiful venue, all the staff where helpful & friendly . Thank you all for the warm welcome. November 14, 2018 We had our wedding at Craig y nos last weekend (10/11) and I can’t recommend it enough! 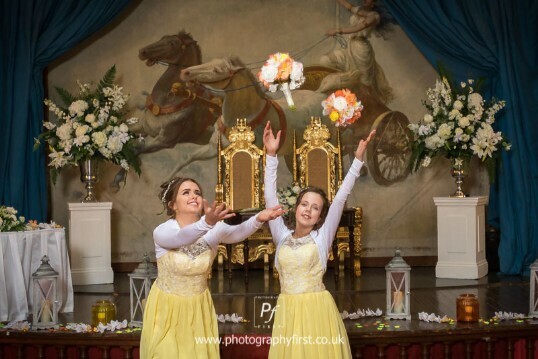 We had an amazing day, our planner Nicola was so helpful and took all the preparation stress away and on the day ensured everything went to plan. We had 80 adults and 22 kids attending, the layout and space ensured there was something for everyone and it never felt too crowded nor empty! We felt totally at home, put an Xbox and toys in the tv room, had impromptu guitar playing in the lounge, sport was on the tv by the bar and a full on party in the function room - everyone was catered for. 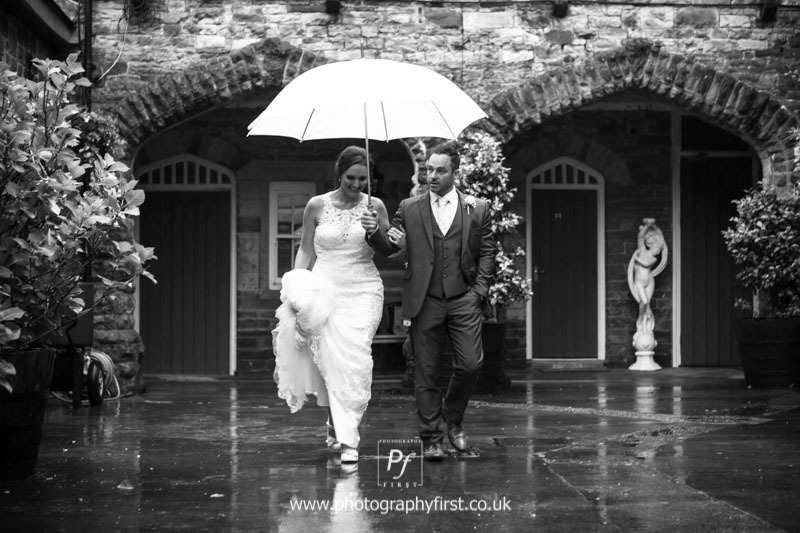 Absolutely perfect day, whatever the weather, with everything under one roof, it was better than we dreamed! How could it get any better, I can tell you that it did. 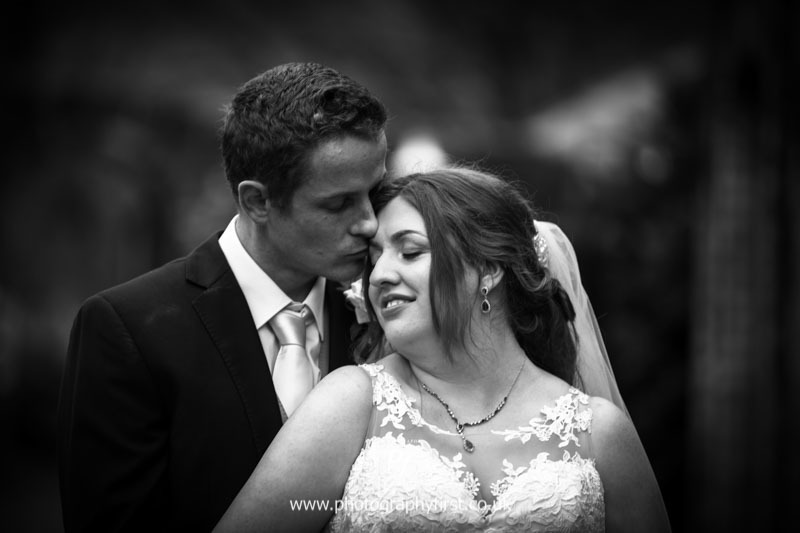 The build up to our Wedding was planned carefully and Donna was there with us every step of the way and all our wishes for the day to come nothing were met 100% faultlessly and Donna took everything in her stride. 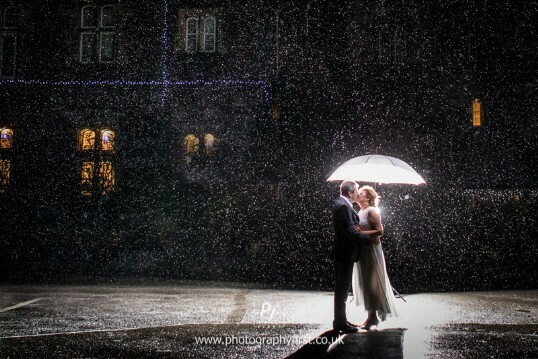 Our Wedding was, I have to say faultless from start to finish, the glorious venue - Craig-Y-Nos Castle in the Brecon Beacons National Park, the fantastic food (many thanks to the top Chef, the sous chef and the great Castle Staff that served all 130 wedding guests), the beautiful Opera Theatre for the Wedding Ceremony (a magical life lasting memory, thank you to our Registrars), the cool Marryoki Booth and the brilliant Disco (thanks Leighton from Ultrabooth in Llanelli), the gorgeous flowers and table dressing (thanks Centre of Attention in Brecon), the wonderful Bridal Cake, Grooms Cake, Cup Cakes and Welsh Cakes that we’re made with love (thank you Dawn from Neath), the patient and professional Wedding Photographers (thank you Andrew Jenkins and your lovely Wife), the Piper that played tirelessly to entertain us and our guests (thank you John Campbell and your lovely Wife), the Dunvant RFC Male Voice Choir (bravo chaps, absolutely outstanding). Many thanks to all the Castle Staff and Management for making our Wedding the best experience we could have ever wished for. Finally to Donna, personally from both my lovely Wife Terrie and Myself our deepest and heartfelt thanks for all you help, advice and guidance on the way to our special day and to your tireless attention to detail and boundless energy and complete devotion to us on the day ❤️🏴󠁧󠁢󠁷󠁬󠁳󠁿🏴󠁧󠁢󠁳󠁣󠁴󠁿🇬🇧. Thank you 😊 A 6 Star (⭐️⭐️⭐️⭐️⭐️⭐️) Rating. 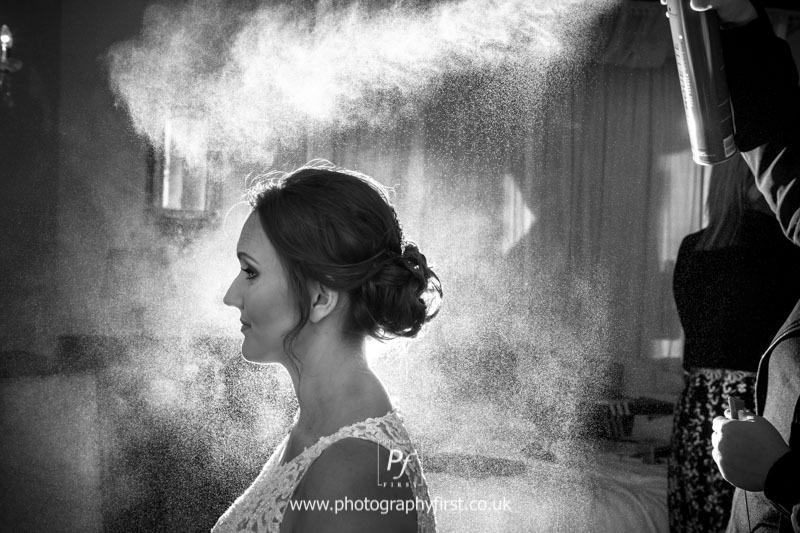 Had the most wonderful time last week at my friends wedding. We stayed for 3 nights and the staff were outstanding, could not do enough for us. Food was great- excellent value for money. Wedding was just fantastic - could not fault it. Setting was brilliant. Stunning surrounding area. I was part of the wedding party and the planners were on hand whenever we needed them and checked in on us throughout the day. A truly special day. I hope to be back. 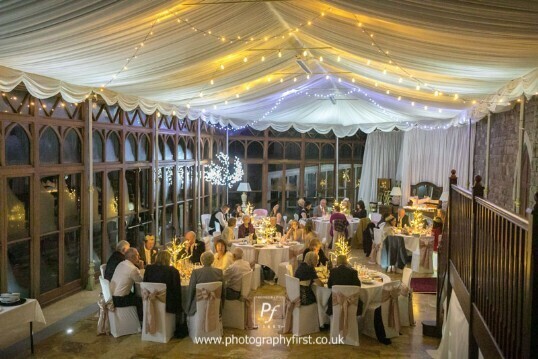 October 6, 2018 Had our wedding here on 5th October what a amazing venue and amazing views and photo backdrops we had a couple of hiccups along the way to the actual day due to our original wedding planner leaving and miscommunication in the staff transition, but in all honesty Donna did a fantastic job in smoothing everything over and even took charge of our day herself which will always be rembered due the fact she went above and beyond and even taxied some of our guests the night before and worked on longer than normal to make sure our day was perfect. So for anyone looking at this venue if the views and history dose not win you over make sure before you leave you have a chat with Donna. I have never received such a level of customer service before and doubt very much will get the same service any where else before during and after our special day. 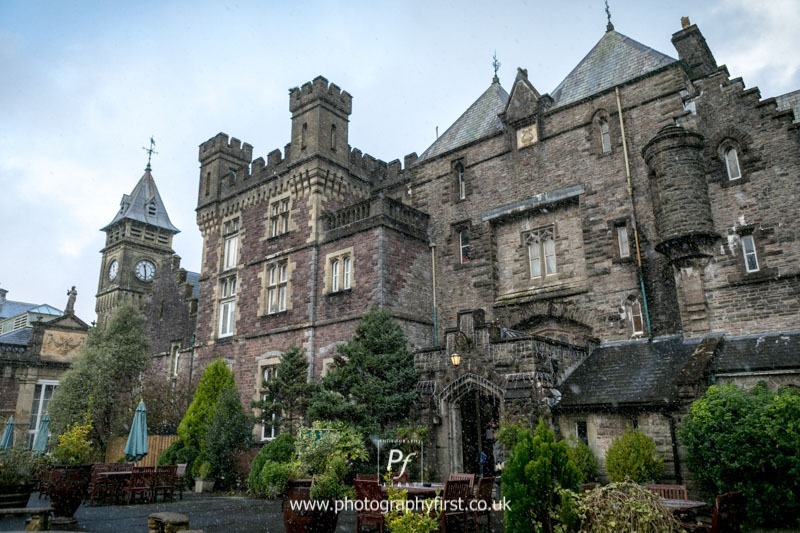 I recently got married at this Welsh Castle and have stayed a number of times previously. 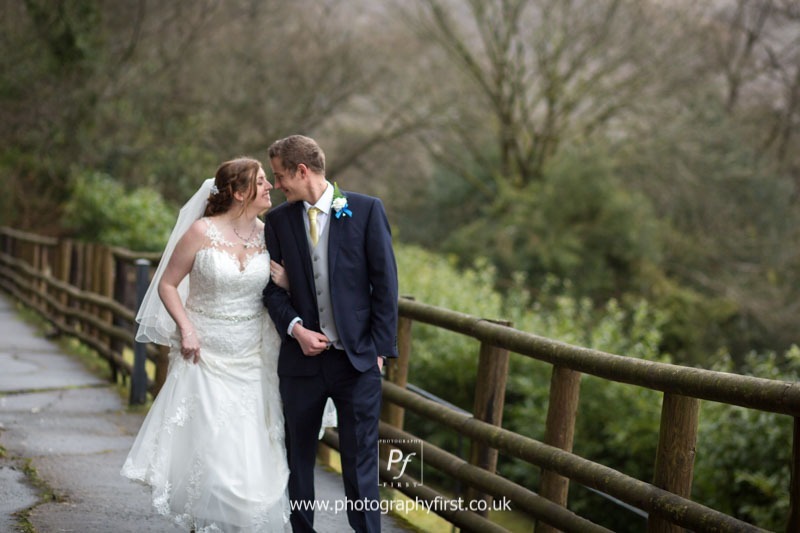 The food is always excellent, the grounds are amazing and in regards to a wedding venue I highly recommend it! Donna the wedding planner was superb; thank you from Mr and Mrs Spargo. My daughter chose here to have her wedding. Having experienced it though I would thoroughly recommend it though. To have exclusive use of the venue was a delight. The staff's superb help in returning my lost video camera though was the most satisfying aspect of our stay. They could not have done more for us. Really awe inspiring building replete with ornate furniture in every room. Some parts of it are in need of some tlc, but the warmth and attention to detail from the staff is exceptional. Its a great and unique venue. Wonderful countryside scenery and suits a wedding party perfectly. The actual castle is set within a picturesque valley, there is a lot of history surrounding the castle which they offer tours for, very interesting and worth it! It is quite a stunning place, and the decor is kept to as original as possible. The hotel itself is pet friendly and staff are very accommodating, offering spare beds for our two year old son and milk for his bedtime. The rooms are simply decorated keeping within the hotels theme. The breakfast offered in the morning is a good selection of cooked items, fruit, cereals, pastries, breads, teas and coffee. 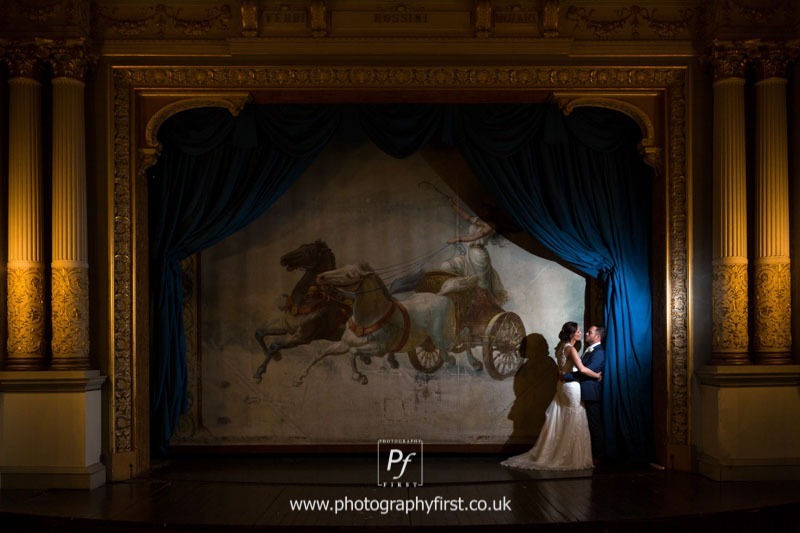 The wedding ceremonies are quite stunning held within a historical theatre, and the orangerie provides a beautiful backdrop of surrounding forests and streams. As a guest for my cousins wedding I was impressed. In my honest opinion, I thought the hotel was great, offering a simple yet quite elegant castle stay with the addition of beautiful surrounding walks and pet friendly accommodation. I would stay there again, however my only criticism is for the amenities provided within the rooms. I felt they should provide an iron within the rooms and minibar or fridge as standard. I felt that being pet friendly a fridge would be an advantage for food etc. That is my only criticism and I will look at staying there for a non wedding event in the future. Managers Note: Irons and Ironing Boards are available from reception but not left in rooms. We came to the castle for an Asian wedding that had several functions, and was one of the first ones at this venue. It is located in nice surroundings and relatively easy to get to, and was nice to have all the functions in one area. 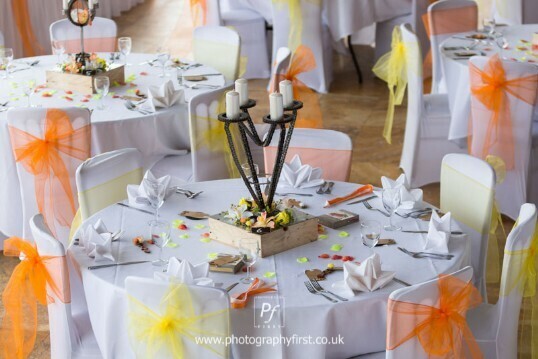 There were all well managed by the team and especially by Donna in ensuring all the functions were kept on time. Our room was nice (albeit probably priced competitively) but i agree with others that lighting at night outside (Managers comment: link shows castle when floodlights on & working) the room and in fountain area going to our room was very very minimal and that is the biggest recommendation. its just an accident waiting to happen. the staff were amazing and did their best to deliver all service with a smile. having minimal wifi was brilliant as people actually socialised. Some things could do with a refurb eg toilets in the dance area we had, and some of the carpets, but the conservatory room was the best room. seems there is a continuous theme about the food in other reviews, and the same applied to our weekend. there was a big miscommunication between various people, and although resolved slowly but surely, it was something that those affected will always remember about the wedding. Overall, the best thing about this weekend is the staff who are absolutely fantastic, from the chaps putting tables and chairs away outside, to the bar staff and waitresses. they go out of their way to please guests and many of them commented to us about how much they enjoyed the wedding atmosphere too, which was nice to hear. would very much recommend anyone having their function here as its very convenient for guests who want to stay up drinking dancing socialising, but there are a few things to improve on. Management comment: Most of the catering was supplied by external caterers as this was an Indian Wedding, however mistakes were made with some guests cultural dietary requirements by a temporary agency chef we had providing cover. We will support outside caterers for specialist weddings with culturally diverse dietary customs. A floodlight was fusing the external trip - castle had been well lit by some external (Christmas) lighting instead but this had been removed at the request of a previous wedding and the floodlights were not reinstated in time. August 22, 2018 despite 3 wedding.planners our day came together the staff couldn't do.enough for us and food was.tremendous. No.complaints even from the fussiest eater (the bride). We both can't thank the venue and its staff enough. A very special day we shall never forget. My staffy says thank you very much for my sausage. My family attended my cousin's wedding and honestly it was one of the best I've ever been to. The staff were brilliant, the setting is magical and the food was delicious. I was happy to see it hasn't become one of those venues that wipes out all traces of historical character. The rooms were comfortable and had all we needed. The lack of signal and WiFi in bedrooms though deemed a negative by some, was actually a welcomed break from the hustle and bustle. It allowed us all to forget about Facebook and live in the moment. 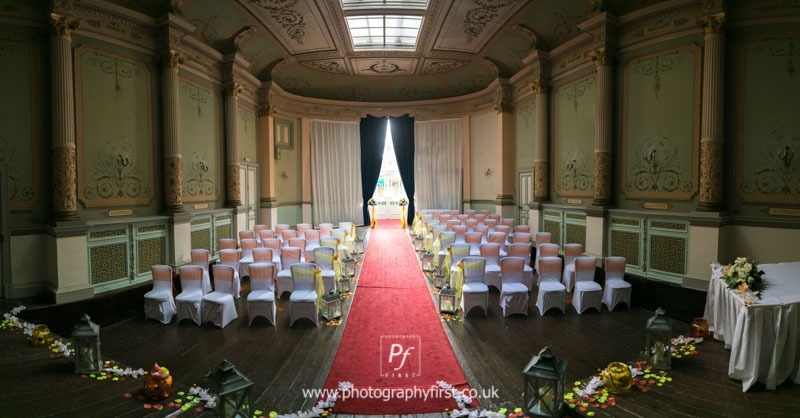 The theatre where the ceremony was conducted was simply stunning. If you want a clinical box style venue then this isn't the place, however if you are happy to spend time in a castle that is bursting with really cool history then it's one of the best. I can't wait to visit during the winter months. 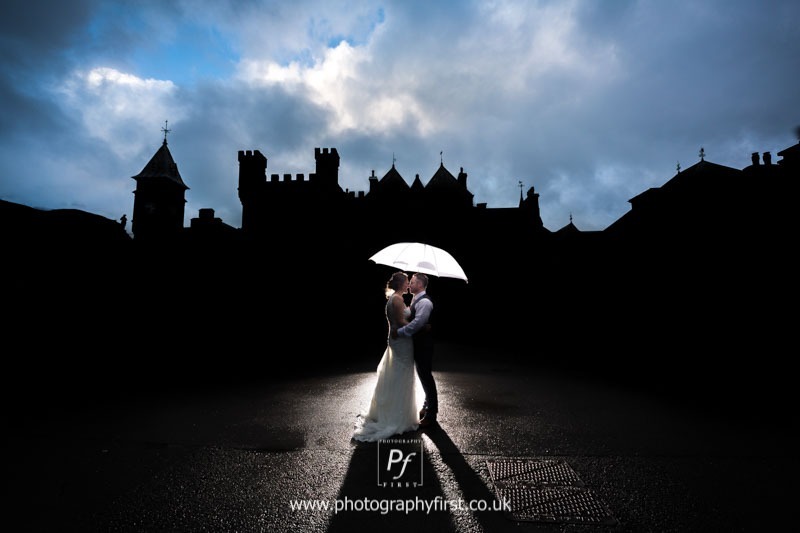 We got married at the castle on 17th August our day was perfect from start to finish I highly recommend this as a wedding venue everywhere is a photo opportunity. Food was tasty and chef was very accommodating.There were a few hiccups when we were planning the wedding our wedding planner had left and we wasn't made aware this made us very uneasy that the venue will not know what we wanted but it all came to plan on the day. The rooms are over priced for children £25 per night per child over 3 is very over priced. But all in all we had the best day so thank you! Managers Comment: Wedding Planner team has now bedded in. We did have a period of changeover with old planners leaving and new planners starting. Re bedrooms; the rate for Children and extra adults in family rooms is the same irrespective of whether adult or child and is now £35/per person not £25. Once a bed is occupied the cost for bed linen etc is the same whether adult or child. Also a family room is twice the size of a double, often with extra rooms, meaning the extra room is half the rate per head of a double. August 11, 2018 Would highly recommend this venue. We just spent two amazing nights celebrating our joint ‘hen + stag’ and wedding at the castle. Massive shout out to Donna and Molly and all the staff that assisted with our big day. 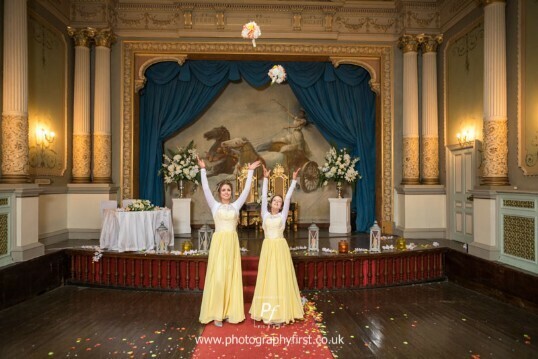 The wedding planning department were so accommodating and helpful and managed to make all our plans a reality. Can’t wait for the photography to come back so we can relive all those moments again! Attended a 2 day wedding this weekend, 1st Asian wedding put on at this venue. 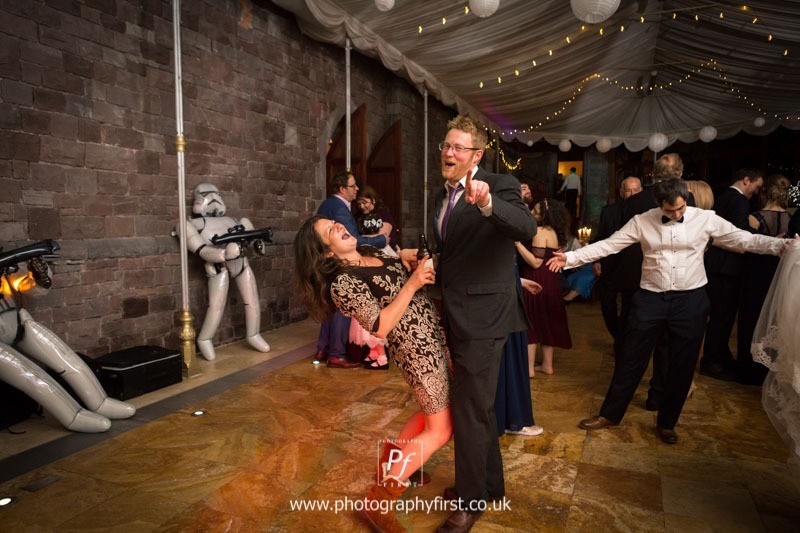 Few teething issues but wonderful staff couldn't do enough for you, relaxed, elegant venue felt comfortable enough to wander and relax in the castle and it's grounds, stunningly decorated for the function. Did not stay in the rooms so can't comment on those. Ok so really late review but better than never. We had our wedding here on 22nd March and had about 85 guests. The planning phase of the wedding was very rocky, with some serious breakdowns in communication between staff, but everything was finally sorted for the day. (Manager comments - Jan 2019: Wedding team now well established. There was a period of new applicants starting, some of whom did not 'last', hence there were a few hand-overs of files from one Planner to another. Also Brides were used to the old idea of having the same planner from start to finish. We now explain this is not possible till a month or so before the wedding, as staff do not stay in the same job as long as they once did). We arrived the day before to set up, along with a few of our other guests, as the majority were coming from a minimum of 3 hours away. The reception staff were lovely and very happy to help with any issue, and Carrie and her team at front of house were amazing over the two days. We had our evening meal on the first night at the castle and it was lovely. Very plentiful and you will not be disappointed. Price was great for what you got. I stayed in the bridal suite for the two nights and the room was very comfortable. There wasn’t a great deal of room to get ready on the day and myself and the bridal party ended up having our makeup and hair done in the hallway outside the room due to space and lighting. I would recommend that you ask if you could use the nurses block to get ready if no one is staying there and there seemed to be far more room. Donna, our wedding planner, stepped in last minute and was amazing. She could not do enough and made me feel very relaxed throughout the day. The rooms in which we had our wedding were beautiful. We had our ceremony in the theatre and chose to have it sloped with the stage. It was set out exactly how I’d asked for it and everyone could see which was great. I’m very glad that chair covers and bows were added as part of the package because it did give that extra special feel. We had our photos out front in the Carpark which had been cleared. The hotel were very accommodating to allow the photographer up into a top window to take a birds eye group shot, which came out beautifully. The only downside to that part of the day was that the scaffolding on the roof was still up, which we had been told would be down by March. We had some couple shots out back on the balcony which had some very lovely views. I would have loved to been able to go down into the country park for some shots but the recent weather had not made that possible. Would definitely recommend you try though. July 30, 2018 We got married here Saturday (28/7/18). We can't thank the staff enough for making our day so special we had an amazing time and nothing was to much trouble for the staff. Anybody thinking about getting married here in this beautiful place go for it you will not be disappointed. Beautiful place, food amazing, staff brilliant and the grounds and walk ways stunning. We will definitely be going back and stay for longer. A very romantic setting too. Lots of history with the building and surrounding areas. What a fantastic place!!! So beautiful and yet so quirky!!! Our friends got married in the old theatre!! !how fabulous!! !food was amazing!great staff! We stayed in the old theatre apartement which was great as we were a group of friends so to have the kitchen was great! Shame we had to share a bathroom. I feel for the price we paid an ensuite should be a must. And also we had no mirror or dressing table which is needed when you are getting ready for a wedding. We had to go upstairs to the loft room which fortunately a friend of ours was using. Good thing we know each other well! Plus the only way to hang our outfits was a small hook on the back of the door. (Manager comment - the wardrobe for the Theatre Flat is actually the large cubpoard in corridor outside the apartment - not everyone is told this though by reception so it gets missed). There's a mirror in the corridor but no plug near enough! These are just little things and to be honest we had such a great time it didnt really matter! But I saw other people's rooms and facilities and was a little jealous and annoyed we were paying the same price! But this venue really is great and unusual so Quirky! Walked through the grounds,so beautiful! As a wedding venue itself fab!!!!! 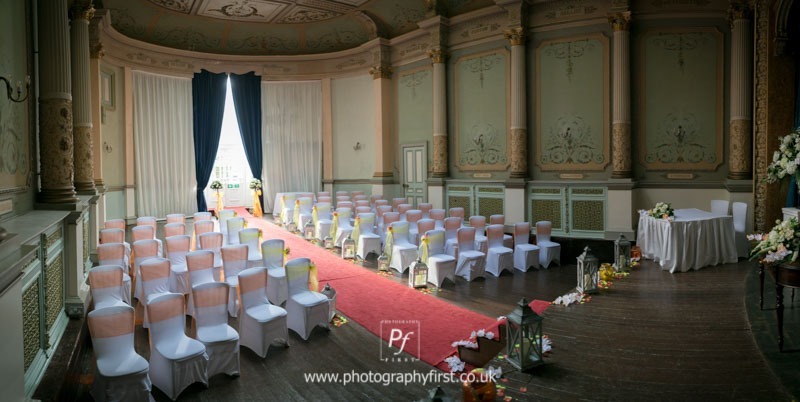 Managers Comment: Price of Theatre Flat can be £75 X 4 or £75 X 2 and £35/ head for remaining occupants; Bride decides the tariff as per room list here. 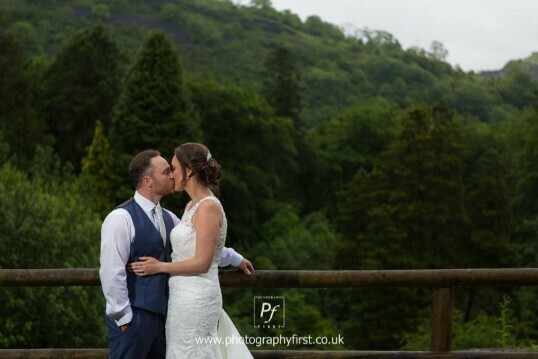 July 30, 2018 We got married here Saturday (28/7/18) We can't thank the staff enough for making our day so special we had an amazing time and nothing was to much trouble for the staff. Anybody thinking about getting married here in this beautiful place go for it you will not be disappointed. The most romantic setting for a wedding. My daughter recently had her wedding reception at the Patti inspired mock castle in the spectacular scenery of the upper Swansea valley. The description of a 'perfect day', seems inadequate for what was a truly memorable experience for all concerned. The weather was glorious, which helped with the outside reception and photographs, but the miniature opera house would easily suffice if not. 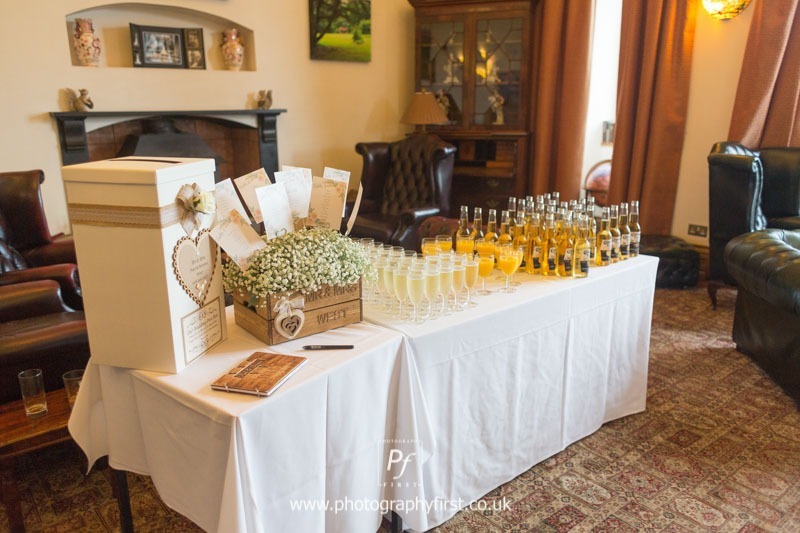 The food at the reception was perfect and the day proved a relaxed and enjoyable one. The staff deserve the utmost praise for their efforts, the wedding arranger was superb and a genuine effort was made to help at every turn, smoothed any problems. Diolch yn fawr i bawb. So fantastic a lot of our guests plan to return. Yes the castle is undergoing refurbishment in places but did not affect our wedding or guests. The castle is quirky and full of character with amazing views and walks. The wedding breakfast and buffet delivered much more than I expected, the quality was excellent. With late notice the night before, the kitchen and staff made sure we were catered for and that all our guests were completely satisfied. The staff were all friendly and helpful, nothing seemed too much. Special thanks to Donna, fantastic wedding planner, we all enjoyed the total experience. We stayed here for 1 night for to a wedding party. The hotel is lovely, although the car park to the hotel entrance for wedding guests is a slight trek. We secured early check in and were able to access our room from about 12. We stayed in room 28. The bedroom itself is pretty basic. There is a small TV and a double bed with a massive wardrobe. The bathroom is the selling point. It is quirky, no shower though, only a shower head over the bath. The bath was massive. Although do take the warnings, unless you want people to look in on you using the toilet, shut the curtains as when sat on the toilet you have a lovely view over the main courtyard. The reason this is a four star rather than a five star review is because of the bedroom and also the fact that online you can book the room for cheaper than paying £75 per head through the wedding package. 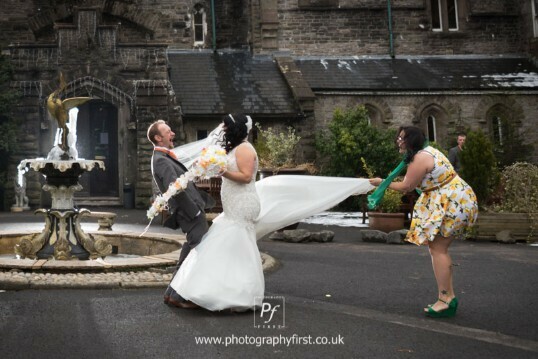 When asked if I could change, we couldn't as we were booked in as wedding guests. Most venue add a discount, not add more to the price. The staff here are so helpful and friendly. the food was really nice for the wedding breakfast and the evening buffet. Breakfast was really nice too... perfect for filling you up for the rest of the day. As for the wedding day, the theatre was stunning and the conservatory was gorgeous too. Obviously this was all helped by the lovely weather. The staff were very helpful throughout the day. The evening room was nice, the DJ was the main disappointment, however I understand that this is not the hotel or the bride and grooms problem. Also I would highly recommend the nurses block to any groups wanting to get ready, such nice facilities to relax in before the wedding. May 27, 2018 My wife and I were married at Craig Y Nos on May 19th - and we had a superb day. The venue is gorgeous and made a real sense of occasion for everyone who attended. The food was superb, the rooms great, and after some early worries with a changeover in wedding planning team, Donna and her team were excellent. 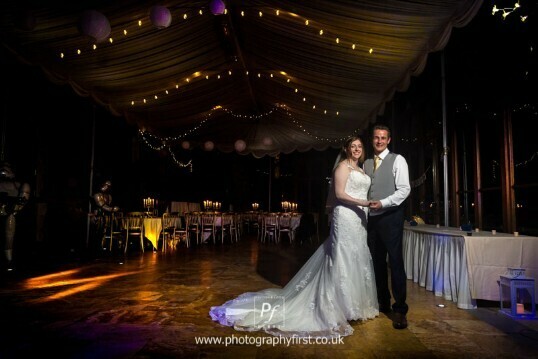 Would recommend as a wedding venue to anyone, and very much plan to stay there again as a married couple! The venue was idyllic and perfect for the occasion. The castle was full of character and the history of the location was evident for all visitors. The accomadation was comfortable and priced reasonably. staff were amazing and helpful, all went out of their way to assist and help Rooms were clean and comfortable.Wedding breakfast was tasty and enjoyable. loved the fact we could sit with the children in the tv room to ensure they have a break. Plenty of food of all variety for breakfast in the morning. The castle has a lot of history. Thank you all at Craig y Nos castle we really enjoyed. April 17, 2018 Thank you so so much to everyone for making my great nephews wedding day absolutely fantastic!! What a beautiful location rooms good service!! Can't fault it at all !! Visited for a midweek wedding and enjoyed the stay from the first minute to the last. 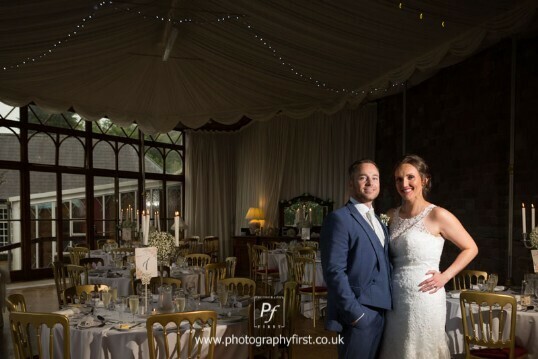 Amazing place - suspect it is even more spectacular in Summer than it is in Winter so an amazing base for walkers etc but a STUNNING location for weddings - the main rooms (theatre, restaurant and function room) are all perfect and the bar area lovely. OK, it is NOT 5 star by any stretch and parts of the hotel are fairly basic in nature (rustic may be the appropriate phrase) and the shower didn't work in our room (sorry we meant to report that on way out - Theatre Ground Floor Right) BUT the service from the staff was amazing throughout, with Donna in particular being a fantastic host who works tirelessly and is an absolute credit to the place. Would highly recommend as a destination and well done for working so hard to make a wonderful place 'work - I wish you every success in the future! Wow! We stayed at the Castle for 2 nights for our daughter's wedding last week and it was incredible. We were greeted with smiles by all staff members all of the time, they couldn't do enough for us. The rooms were all perfectly clean and the food was really good. 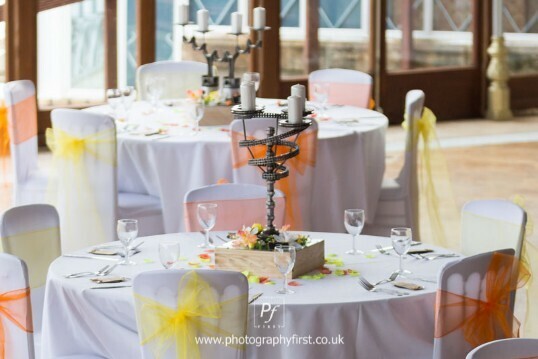 We ate at the hotel on our first evening and the food was amazing and very reasonably priced, the breakfasts that we had were plentiful and the food for the wedding breakfast was served hot and of a very good standard. Don't go here expecting a five star hotel, it is quaint, lots of stairs and winding stair cases, what you will receive however is five star service. I would especially like to mention Donna, our wedding planner for the day, who went above and beyond and seemed to be everywhere at once, she really was a huge help. Carrie front of house was also brilliant and kept smiling, Craig assisted with the music and the lady on the front desk on the Wednesday and Thursday were also brilliant. All the staff were really good and I'm sorry I can't mention all by name. Thank you all, I did hear several of the guests saying that they had enjoyed their stay so much that they will be back again, what better testament is that. March 4, 2018 Have worked as a photographer at this venue for a number of years, I'm pleased to say, I am always treated well by the staff, they're so polite and couldn't be more helpful. Keep up the good work! Wow. Like living in a fairytale. The weekend of my daughter’s wedding was just perfect. All the staff were helpful,friendly and attentiv at all times.The venue was just perfect for a wedding and is set in beautiful surroundings. From start to finish the whole event could not have been better. Room for disabled guest was perfect and easily accessible. Full marks for service,location and value.